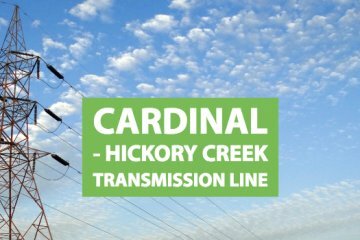 The Cardinal-Hickory Creek transmission line will help facilitate the Midwest's clean energy transition while offering reliability and energy security. Over 4,000 megawatts of wind and solar energy being developed in Minnesota, South Dakota, Wisconsin, and Iowa are depending on this transmission line to bring clean, low-cost, homegrown energy to the electric grid. MISO, the Midcontinent Independent System Operator, has determined that the proposed Cardinal-Hickory Creek transmission line is a necessary improvement to the Midwest electric grid that will facilitate reliability, a robust energy market and help deliver clean energy to homes and businesses. In fact, Cardinal-Hickory Creek is the last of 17 high-voltage transmission lines that MISO approved in December 2011 to improve the reliability and flexibility of the Midwestern electric grid. 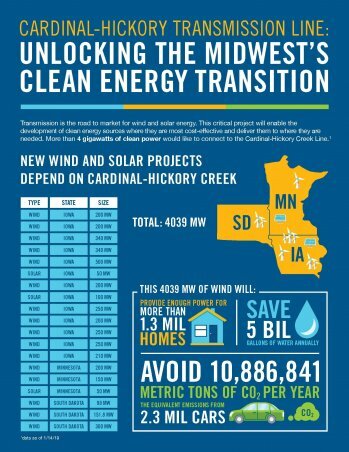 Connecting renewable energy in Iowa and Wisconsin using the Cardinal-Hickory Creek transmission line will improve reliability and increase the capability to deliver low-cost wind and solar resources; relieve congestion, which will also help reduce energy costs; and provide other economic benefits. The line also saves approximately $151 million by eliminating the need to upgrade 13 other lower-voltage transmission projects. 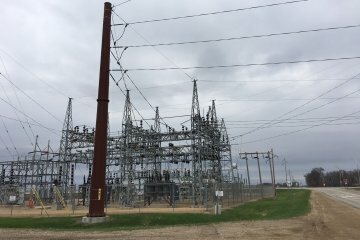 Additionally, MISO has determined that no other transmission alternative will be as cost-effective as this project in connecting Northwestern Iowa and Southeastern and south-central Wisconsin, and non-transmission alternatives are not feasible. 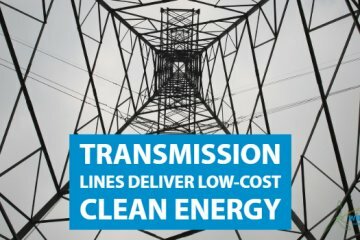 No other transmission alternative will be as cost-effective as this project in connecting Northwestern Iowa and Southeastern and south-central Wisconsin, and non-transmission alternatives are not feasible. You can also check out this video about how clean energy continues Wisconsin's conservation legacy.